A collection of memories from our trip to Italy where we saw some of the most iconic and beautiful treasures that Italy has to offer. 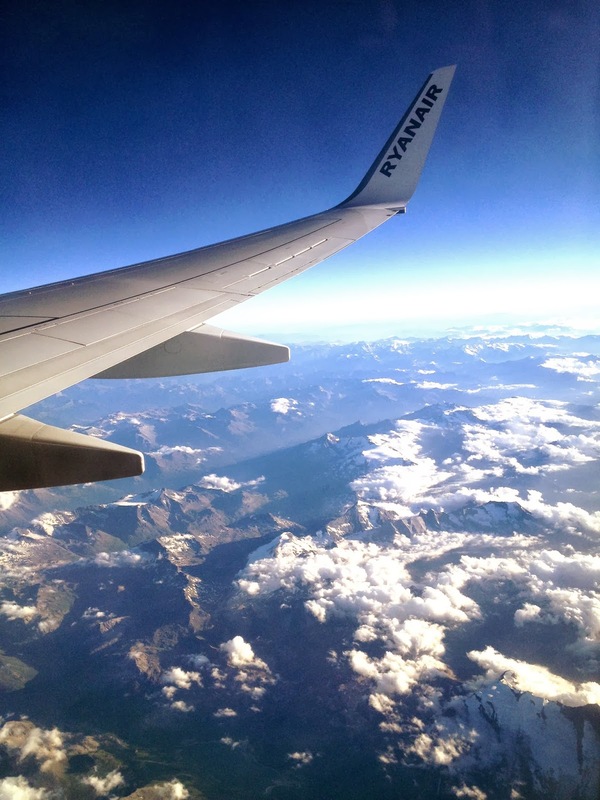 I am delighted to finally share my Italian adventure with you all. At the beginning of August I travelled to Italy with my love to city hop and explore some of Italy's unique experiences. In order to see as much of Italy as possible in our 15 day timeframe, we decided to bypass Siena and Pisa this time to spend more days exploring Florence and Perugia. For fears of boring you all, i shall only give you an insight into my travels but I will highlight any must-see/must-eat recommendations. After arriving in Rome late at night we decided to grab a late dinner (around midnight) at a picturesque, fairy light covered cafe and watch the world go by before catching some much needed shut eye. The following morning we woke early and decided to have breakfast on the go whilst taking in some of the beautiful sights and watching the artists at work in Piazza Navona. If you are in Rome for a few days visit the Trastevere area at night which is beautifully lit with fairy lights and cute little restaurants nestled together. If you keep walking along the narrow streets you will be sure to find a place which serves beautiful food and wine late into the night. 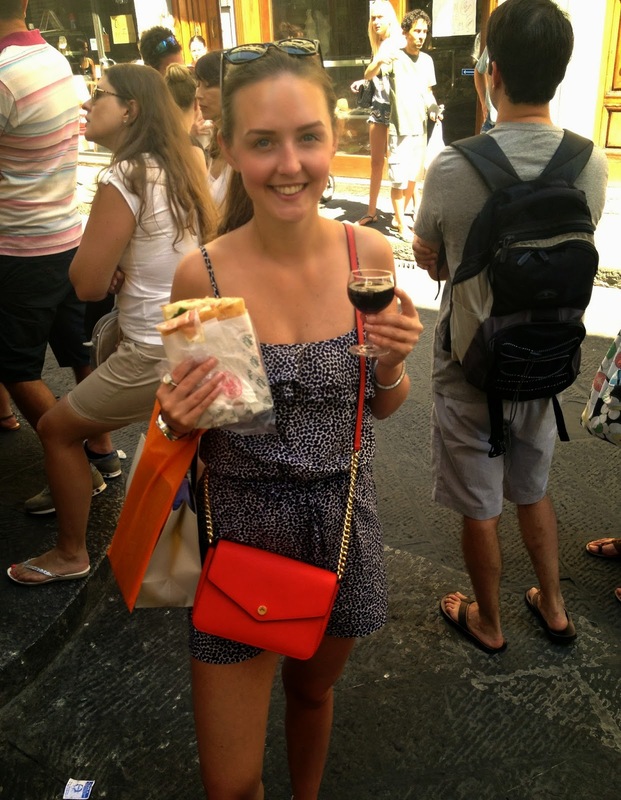 Why not try: Cafè a Roma, near Piazza Navona which sells the best coffee in Rome! I was lucky enough to spend some time in a small peaceful village north of Rome where my love's parents have a place. With limited wifi and signal, it was the perfect opportunity to just read, relax and soak up the sun whilst enjoying some of the local wine. A couple of days we decided to venture to a few nearby towns for lunch and a wonder. Each place was just as lovely as the next, offering wonderful Italian coffee, beautiful town squares and an array of quaint cafes to choose from. This trip was my first time visiting Perugia, and to be honest, I didn't know what to expect. My love has been several times and had convinced me that we should spend a few days here. I'm so glad we did. Perugia has a beautiful large square right in the heart of the city centre which is an ideal place to buy an ice cream and people watch. There is a great place for an aperitif and some appetisers on the main street. Located inside a shop on the second floor it has a few ideal spots by the window overlooking the main street at night. Try: a glass of prosecco and a slate platter of Italian meats and ham. Must Try: Argentina - arguably our best meal of the trip. Hidden away, behind the main square along a narrow curved street is the delightful steak and fish house. I would suggest making a booking if you wish to eat later than 8pm and at the weekend. On arrival we were greeted with a glass of prosecco, freshly baked bread and a small appetiser whilst sitting outside overlooking Perugia. I remember visiting Florence briefly as a child but I had massively understated its beauty. If i'm asked which place I liked the most out of all the places we visited on our trip I think it would have to be Florence. I felt so safe and at home walking along the cobbled streets at night. In my opinion also a great place for shopping or even window shopping! Must Try: Dim Sum - if not the best restaurant definitely a close second - Located off of Piazza della Signoria, along the narrow Via dei Neri - this quaint Japanese restaurant specialises in hand made noodles and dim sum. Check out my instagram @daisydahling for a quick 10 sec clip of the chef in action! 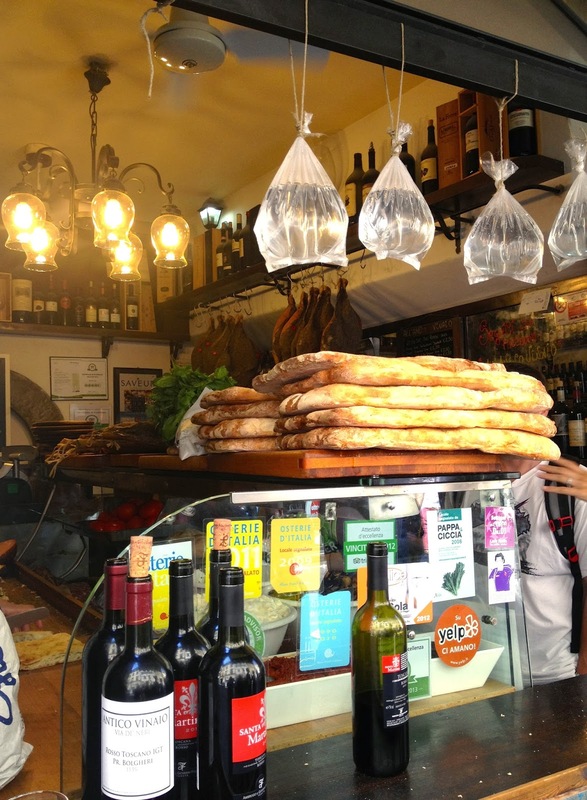 Must Try: La Prosciutteria or All'Antico Vinaio for the best sandwiches you've ever tasted! Tip: Decide what you are having before you get to the counter and try the local wine on offer. Before heading to Milan to catch our flight home we spent a few days in the postcard perfect Cinque Terre which features five small picturesque towns, each with its own collection of rainbow coloured houses, nestled together in alcoves along the Italian coastline. We stayed in an apartment in La Spezia and travelled by train to Cinque Terre each day as we had heard the train was excellent for capturing the views, but also extremely frequent and reliable! This also proved cheaper for accommodation which I would definitely recommend to anyone thinking of visiting Cinque Terre. There are footpaths between each town if you prefer to travel by foot to take in the true beauty. If you go to Vernazza, I would thoroughly recommend walking up the steps and along a narrow path (for about 10-15 mins) to get a spectacular view of the bay. If possible take this small trek at dusk to capture the bay and rainbow coloured houses lit up at night as the sun sets. Our evenings were spent wandering the narrow streets and having dinner overlooking the bay. Although we didn't have long here we had enough time to experience the true beauty this area has to offer. I definitely hope to visit again soon and have some more time to take a boat trip to Portofino. Must Try: The Lunchbox in Vernazza which has an amazing selection of ingredients to fill your bagel/focaccia or to put on a salad. I opted for prosciutto crudo with chopped black olives, roasted veg, mozzarella and some salad leaves... #yum! Our last stop was a very brief overnight stop in Milan. Much like Paris, we decided to walk everywhere not worrying if we got lost or came to a dead end. After some quick photos of the breathtaking Duomo we headed back to Scotland with a collection of beautiful memories of the places we explored, the experiences we shared and the most amazing macaroons. Any questions or recommendations about the trip, just let me know! Italy is really beautiful, isn't it? I can't get enough of this magic place. Gorgeous photos and lovely blog. I'm your new follower :). It really is truely beautiful. Thanks for your lovely comment it's much appreciated! Thank you, have a lovely weekend! Wow! This is such a beautiful post ! I love love love the fact that you've been to much such a beautiful place! Thanks for the comment by the way! I'll be following your blog!! Beautiful pictures! Cinque Terre is fantastic! Looks like you had a fabulous trip! I hope to make it to Italy in the next few years. Thank you, need any more recommendations just let me know! WOW! Stunning photos, I hope to travel to Italy one day, I know I'll get there! Thank you lovely - cute blog you have! Wow these photos look amazing!! would u like to follow each other?? let me know..
Its such great adventure,beautiful photos, beautiful place and beautiful food, greatttt sharing! Wow! This is such a beautiful post! Pictures are beautiful! I love Italy! You took some beautiful pictures! Really so nicle pics and I love Italy. It is amaaaazing country and I always find there perfect places. Have a nice day. Amazing photos and locations, looks like you had an awesome time! 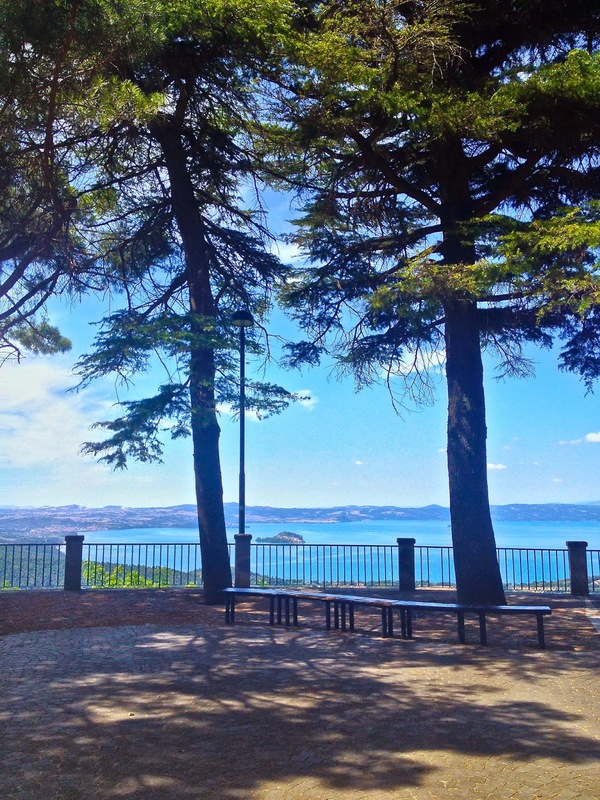 Beautiful pictures, these pics remind me so much of my holiday to italy last year! 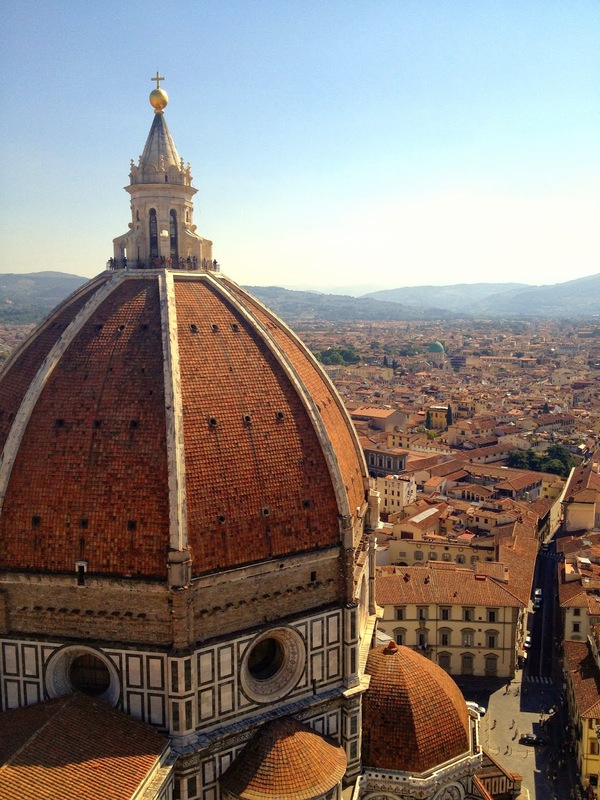 GOSH, your photos make me want to visit Italy even more! You have captured very very lovely photos here and I love the warmth in it. Sharing this post on my twitter! Italy is definitely my favorite country on the world, so many dream places and cities fulfilled of stories! Gorgeous pictures. I absolutely love Italy, and I'm glad that you were able to travel and enjoy it too! I hope you had a lot of good food (looks like you did), and thanks for all the great restaurant tips! Thanks for all the restaurant suggestions! 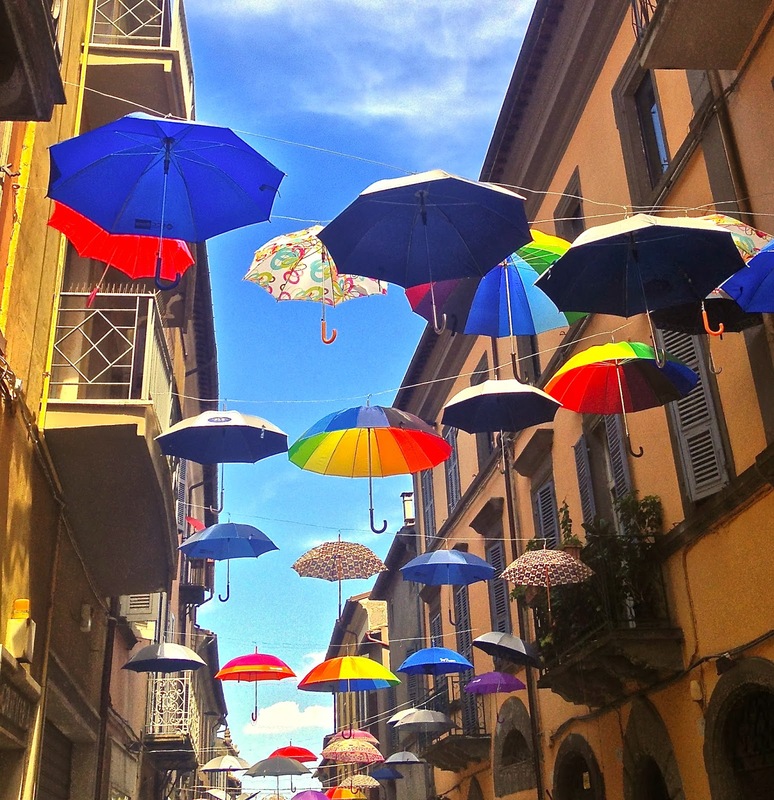 :) I love Italy & I'll definitely try those when I get there! Such lovely photos.. I wanna visit Italy again. 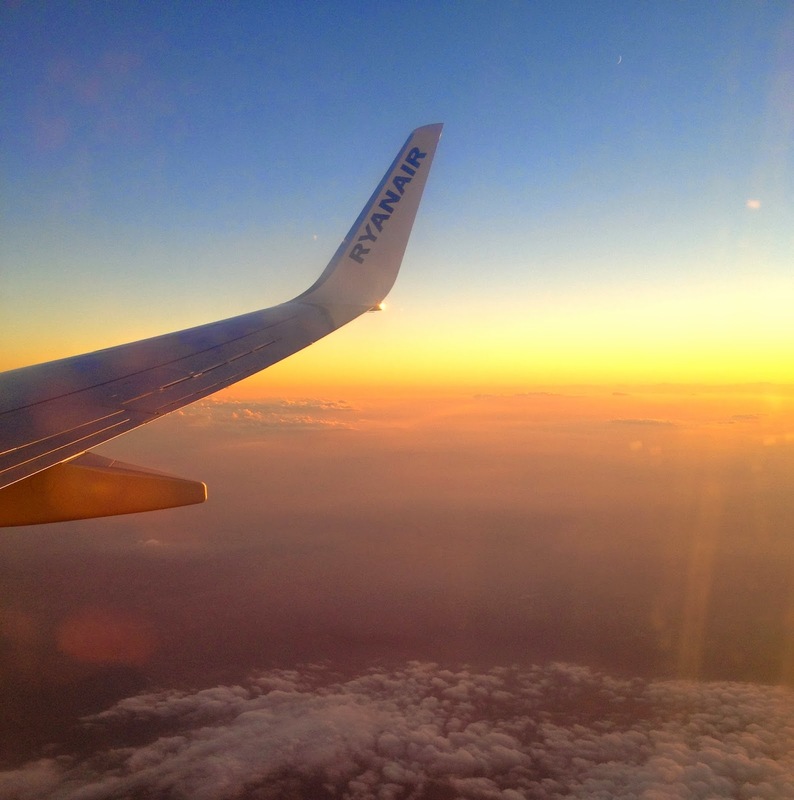 Sienna, Lucques, Florence, Venise, Rome...The perfect country to travel with her ​​boyfriend! I am going to Italy for Christmas to visit my boyfriend family. Your pictures are really inspiration. Such beautiful photos :) Italy is one of my favourite places - I can't wait to go again and explore more places. Thanks for your suggestions!